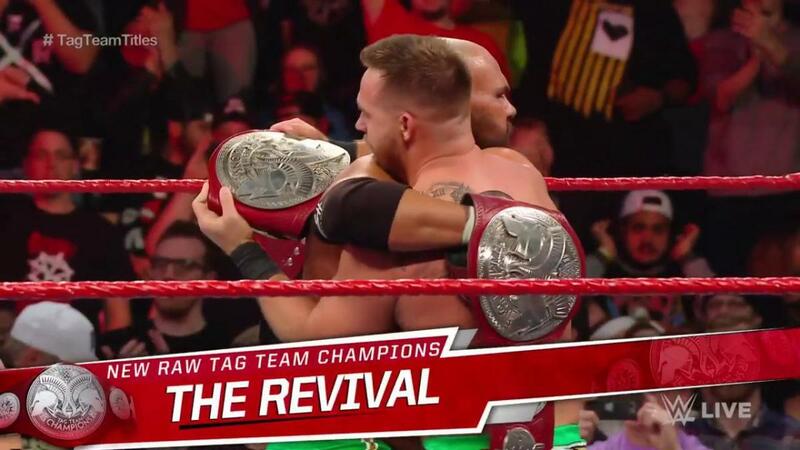 After several attempts, the Revival are now the new Raw tag team champions. Securing another title shot last week, Scott Dawson and Dash Wilder pinned champions Bobby Roode and Chad Gable to win the titles for the first time. The finish had Gable going for a crossbody off the middle rope, but the Revival countered and hit the Shatter Machine, allowing them to pick up the win. Roode and Gable had held the titles for 64 days, defeating AOP back on the December 10 edition of Raw. After the match, Charly Caruso interviewed the new champions, where they reiterated that they were top guys. The win comes after a number of previous attempts to win the titles in the last couple of months, which the Revival lost. They won a fatal four way last week, defeating the Lucha House Party, B Team and Heavy Machinery to win the number one contendership once again.